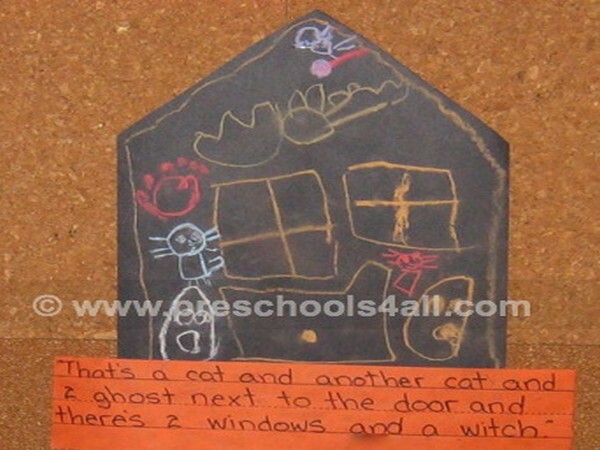 It's easy to set up Halloween bulletin boards for kindergarten by transforming kids' creations into your own. Read on to find out how. 1. 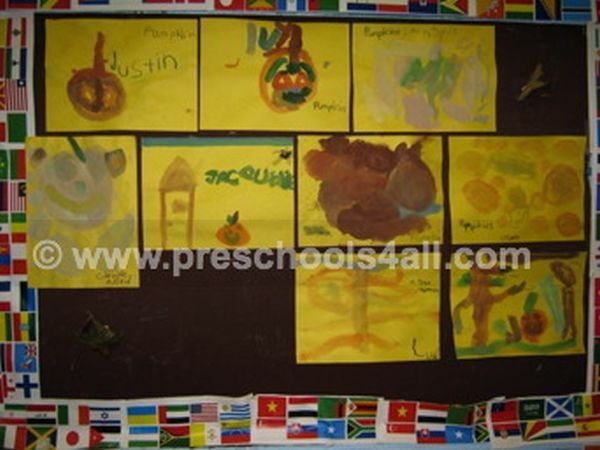 The children used different art mediums from watercolors, paint and color pencils. 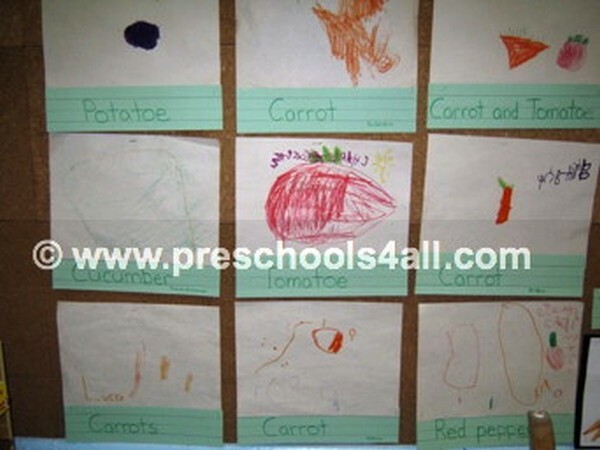 All of which help develop their fine motor skills. 2. 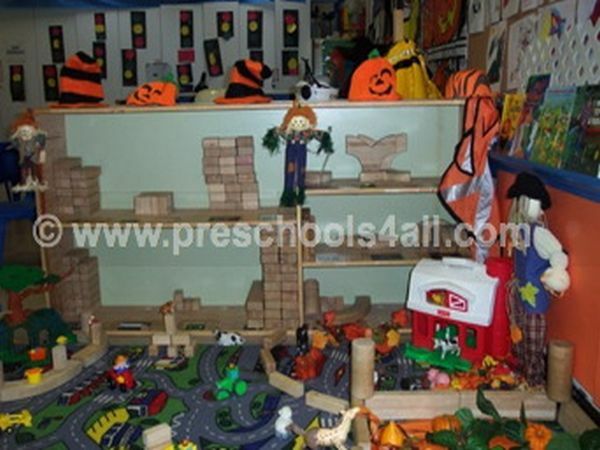 The children were learning about shapes - Shape of a pumpkin, a roof top, a house. 3. The children were developing their expressive language by using descriptive words to explain their creations. 4. The children worked collaboratively on various projects in class. 5. 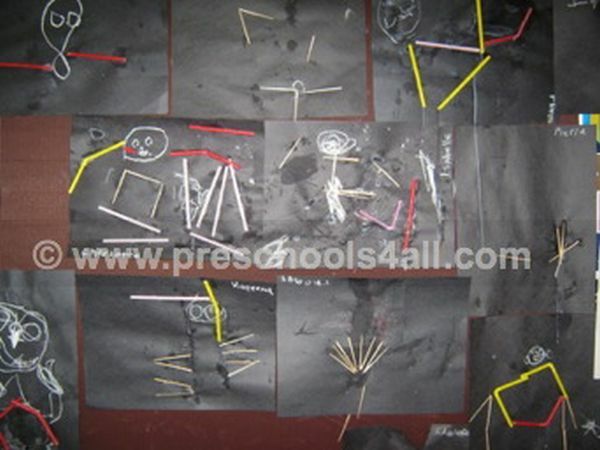 The children implemented their ideas into their work. 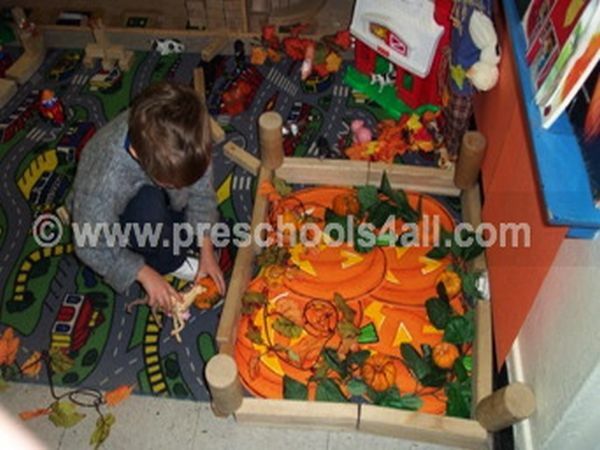 The children painted pumpkins, their house decorated and getting dressed up. 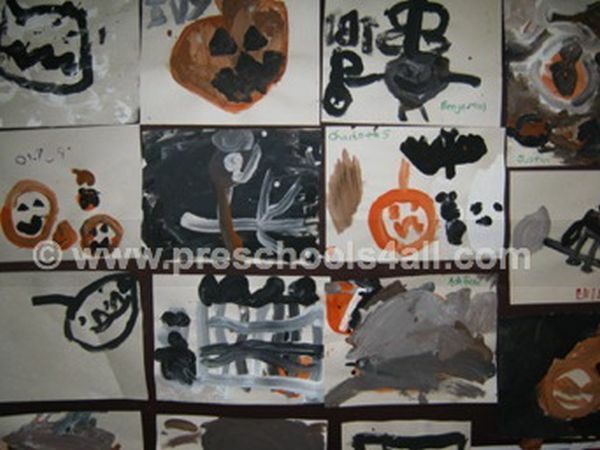 The children did some painting using only the colors of the holiday, orange and black. 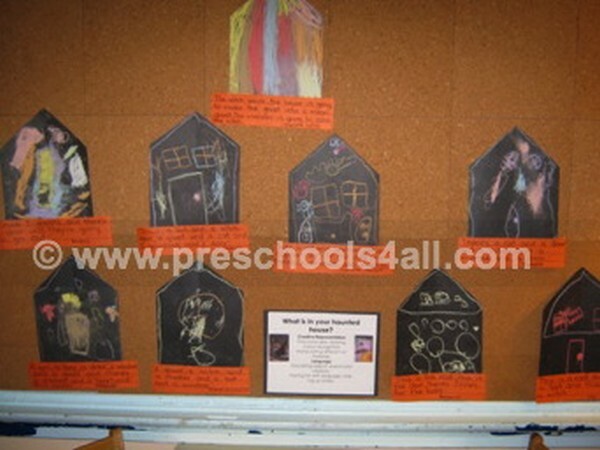 The children came to class and spoke about the skeletons they saw hanging outside various homes. Some children were afraid of the skeletons and as a way to address their fears we began exploring our own skeletons. As our learning continued, skeletons we realized, are not scary at all. As we continue our Halloween exploration the children noticed that more and more houses were turning into Haunted Houses. 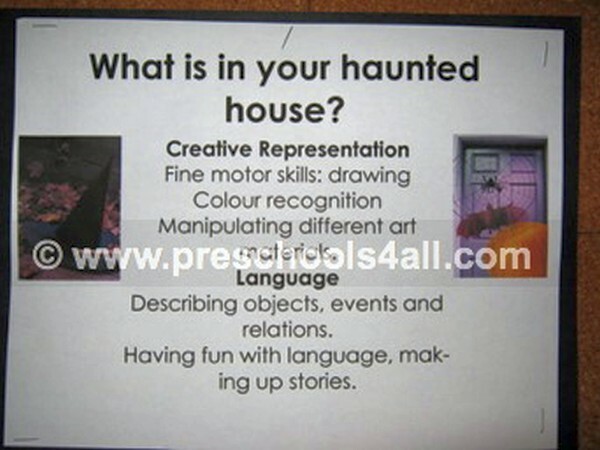 What is in your Haunted House? Halloween is also Harvest time... a great opportunity to begin exploring various vegetables, the importance of good nutrition and an appreciation to mother nature.